The Mojamar Playa Apartments offers comfortable self catering accommodation within easy reach of the beach and resort amenities. 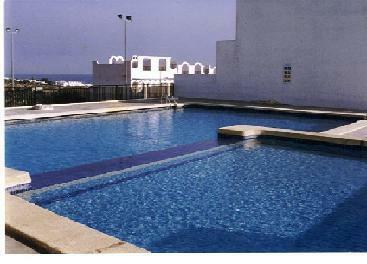 The complex features an outdoor swimming pool (only open in summer season) with surrounding sun-terraces. There is also a tennis court and free parking. 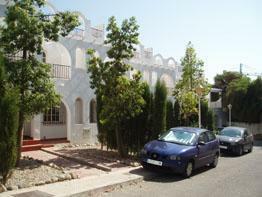 Apartments have one or two bedrooms sleeping 4 to 6 people, some are duplex style. All come with a private bath/shower-room, balcony or terrace, kitchenette and air-conditioning (some local charges may apply). 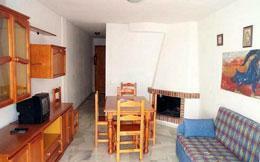 The apartments are situated in the centre of Mojacar Playa, just a 5-minute walk from Playa del Cantal Beach.